National Nuclear Generating Company Energoatom increased power generation by 10% year-on-year in January and February 2019, to 15.989 billion kWh, the company has said. The electricity generation target was met by 100.5%. Electricity sales totaled 15.098 billion kWh compared to 13.722 billion kWh in January and February 2018. Energoatom’s share of total electricity sold to Energomarket state enterprise was 55.8%, and the share of total electricity generation in the country was 54.2%. The company sold electricity worth UAH 10.4 billion (including VAT) on the wholesale power market, which is 15.7% more than in January and February 2018. Capital investment totaled UAH 808.2 million compared with UAH 1.479 billion in January and February 2018. The company sent UAH 2.275 billion to the budgets of all levels and insurance payments came to UAH 363.2 million. Capacity use was 81.4%, which was 7.4 p.p. more than a year previously. Three malfunctions were recorded at Ukrainian nuclear power plants in the reporting period, one less than a year ago. 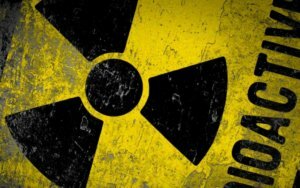 Radiation levels at Ukrainian NPPs were normal over the period. The company also operates the Tashlyk hydroelectric pumped storage power plant with a 302 MW capacity in a turbine mode and Oleksandrivka hydropower plant with an 11.5 MW capacity. 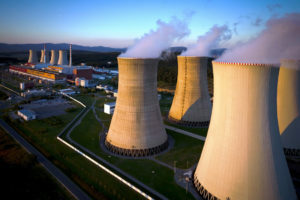 National Nuclear Generating Company Energoatom increased power generation by 11.7% year-on-year in January 2019, to 8.111 billion kWh, the company has said. The electricity generation target was met by 100%. Electricity sales totaled 7.661 billion kWh compared to 6.842 billion kWh in January 2018. Energoatom’s share of total electricity sold to Energomarket state enterprise was 53%, and the share of total electricity generation in the country was 52%. The company sold electricity worth UAH 5.279 billion (including VAT) on the wholesale power market, which is 17.7% more than in January 2018. Capital investment totaled UAH 363.8 million compared with UAH 514.7 million in January 2018. The company sent UAH 557.2 million to the budgets of all levels and insurance payments came to UAH 141.7 million. Capacity use was 78.6%, which was 8.3 p.p. more than a year previously. Two malfunctions were recorded at Ukrainian nuclear power plants in the reporting period, two less than a year ago. Radiation levels at Ukrainian NPPs were normal over the period. National Nuclear Generating Company Energoatom reduced power generation by 1.4% year-on-year in 2018, to 84.626 billion kWh, the company has said. The electricity generation target was met by 102%. Electricity sales totaled 79.609 billion kWh compared to 80.502 billion kWh a year previously. Energoatom’s share of total electricity sold to Energomarket state enterprise was 54%, and the share of total electricity generation in the country was 53%. The company sold electricity worth UAH 52.682 billion (including VAT) on the wholesale power market, which is 14.4% more than in 2017. Capital investment totaled UAH 10.773 billion compared with UAH 5.9 billion in 2017. The company sent UAH 8.58 billion to the budgets of all levels and insurance payments came to UAH 2.038 billion. Capacity use was 69.6%, which was 1 p.p. less than a year previously. Twenty one malfunctions were recorded at Ukrainian nuclear power plants in the reporting period, five more than a year ago. 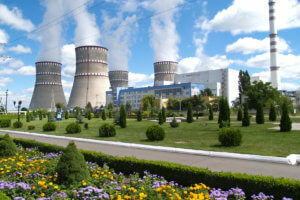 Radiation levels at Ukrainian NPPs were normal over the period. Energoatom has signed a memorandum of understanding in the field of nuclear energy with the world leader in production of diesel generator sets Wärtsilä, the press service of the operator of Ukrainian nuclear power plants (NPP) has reported. The memorandum gives a start to the direct cooperation of Energoatom with the French division of the Finnish company Wärtsilä – Wärtsilä Franc. Before the start of the negotiation process, Energoatom tenders for the supply of sets of spare parts for the Z40 diesel generator running at Yuzhnoukrainsk NPP were exclusively attended by intermediaries. The signing of the document is also important against the background of Energoatom’s plans to extend the operating life of the existing NPP units and the construction of new units, the press service stressed. According to the Director General of Nuclear Service Wärtsilä France, the company has already submitted a tender offer for the supply of spare parts for Wärtsilä equipment working at Yuzhnoukrainsk NPP. “This is an open tender and we understand the need to fulfill all requirements and procedures. We hope that our plans will become a reality and we will participate in servicing Ukrainian NPPs in the next 20-30 years, as well as in the work of the energy sector of Ukraine as a whole,” he said. 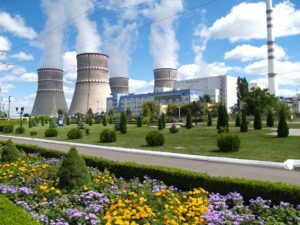 National Nuclear Generating Company Energoatom in January-September 2018 saw UAH 2.067 billion of net profit compared with UAH 473.602 million of net loss a year ago. 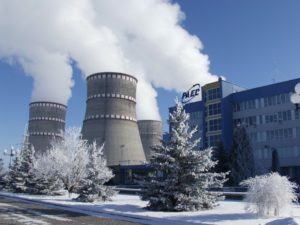 According to a company report in the information disclosure system of the National Commission for Securities and the Stock Market, in January-September 2018, its net revenue totaled UAH 31.484 billion, which is 9% more than a year ago (UAH 28.891 billion), and gross profit of Energoatom grew by 59.4% or UAH 2.719 billion, to UAH 7.295 billion.